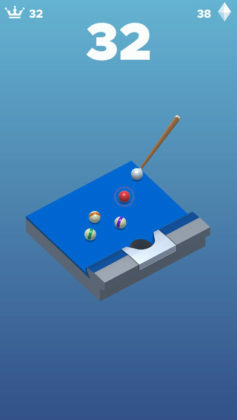 Are you a fan of the popular game Pool?  Pool games are amazingly popular on both the App Store and Google Play! So much so, it is genuinely shocking that no one came up with the idea for today’s game sooner…! Pocket Pool by Ketchapp and Wizard Games is the perfect bite-sized pool game for us “semi-enthusiastic” pool game lovers. 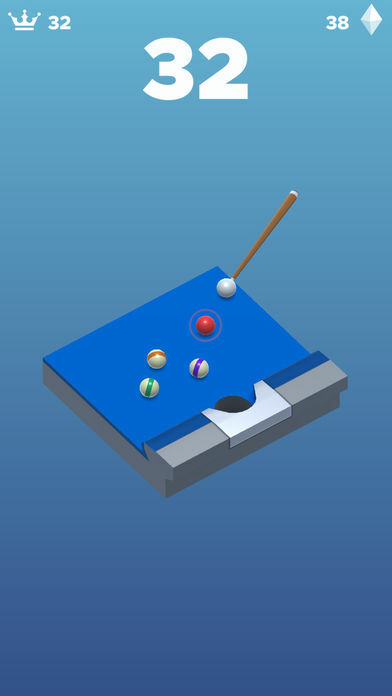 With no multiplayer battle modes, super realistic 3D graphics, or even a full sized pool table for that matter, Pocket Pool is exactly what it says it is, a pocket-sized pool game. 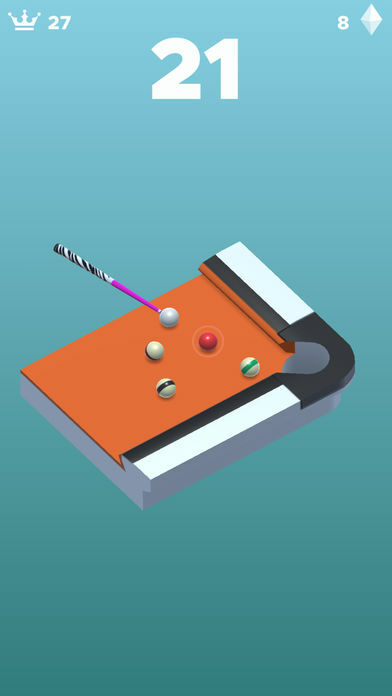 Played on a mere 1/6 of an actual pool table, (we don’t know where the rest of the table went…), your mission in this game is to hit a single red ball into the one and only hole remaining on your 1/6 of the table. 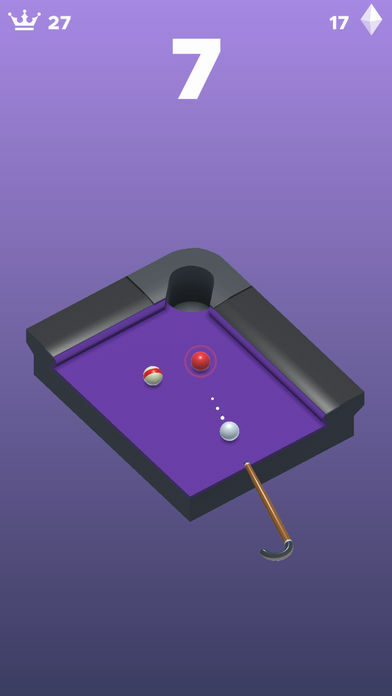 With simple touch and drag controls that allow you to both aim and hit with your cue by simply touching and dragging anywhere on the screen of your device, Pocket Pool is incredibly easy to play. 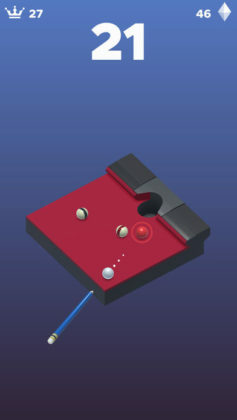 Not to mention addictive! 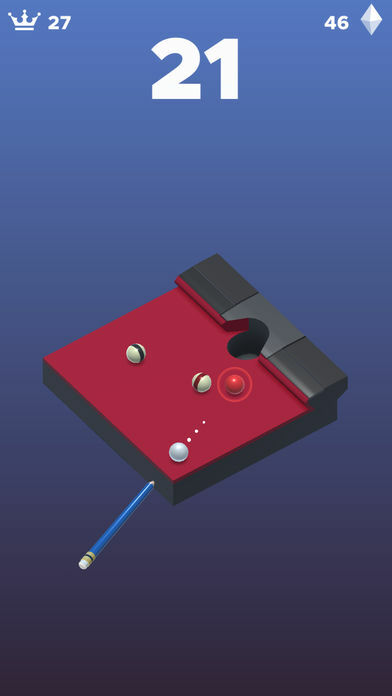 With a simplistic 3D design, a bunch of different cues and tables for you to unlock using the gems you collect while playing the game and plenty of those “Come on! 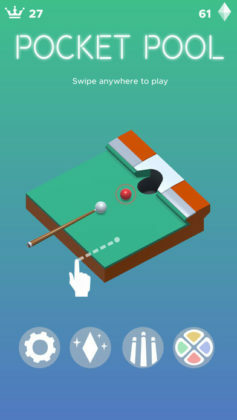 So close!” moments for you to enjoy… or suffer… (it’s your choice), Pocket Pool is a game we can’t see many people not enjoying to at least one degree or another. 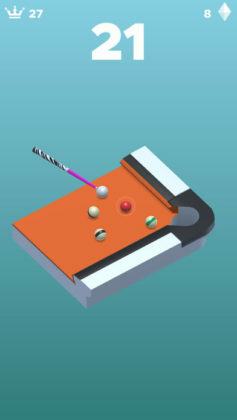 If you’ve never really had an interest in casino-style pool games for your iOS or Android device, yet still enjoy playing a fun game of pool with your friends and family every once in a while, Pocket Pool is the best casual pool game we have ever played.